Map of the State of Illinois. 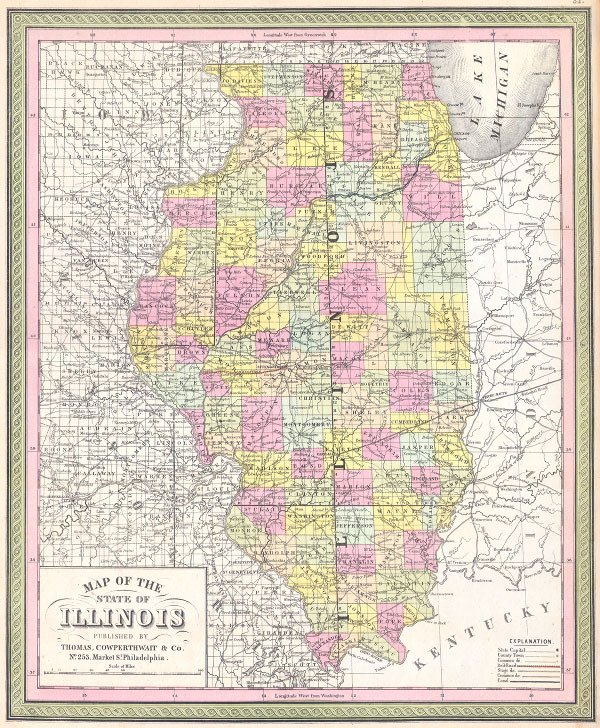 This is beautiful hand colored map is a lithographic engraving of the state of Illinois dating to 1850. Map divides the state into counties with notations on both political and geographical features. Produced by the legendary American map publisher S. A. Mitchell Sr. out of his 253 Market Street office in Philadelphia, PA.